Finding good rubber garden clogs for women can take a bit of work. We all love working out in the garden and yard, but hate the fact that our shoes slip and just aren’t breathable enough for complete and total comfort. What if there was a way to have a safe and secure rubber clog that fits your foot well, washes off easily, is breathable and lightweight? With these varying options for rubber garden clogs for women, you’ll never have to mess up another pair of your tennis shoes ever again! 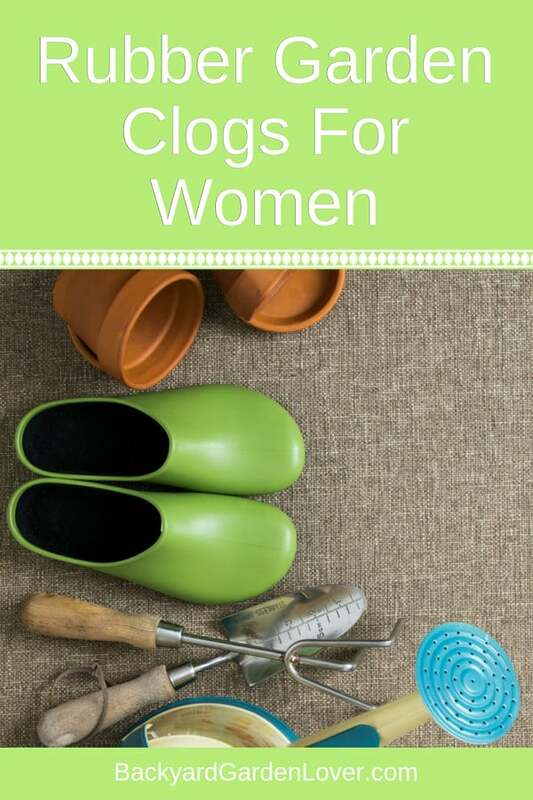 Why Buy Rubber Gardening Clogs For Women? There’s no denying the fact that rubber garden clogs are just easier to maintain. You can rest easy knowing that no matter what type of dirt or mud you may get on your clogs, you’ll be able to wash them off with ease each and every time. They’re super simple to clean, and they are also lightweight and durable. Using them in the garden, during yard work, or even slipping them on to go outside when it’s raining are all perfectly good uses for them! Here are the my favorite gardening shoes for women. Top reviewers love how these clogs kept their feet dry during the rainstorms and also commented on how easy there were to clean up and maintain. And, oh, that color!!! I LOVE green (my favorite color), and light green is perfect not only for the garden, but also to take on quick errands. If you are looking for a premium pair of garden clogs, give these a try! 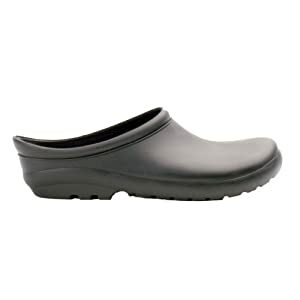 Sloggers 260BK08 Womens Premium Clog, Black, Size 8 Similar to the ones above, if you’d rather have black garden clogs, these are perfect. Customers love how easy they are to slip on and many comment that they keep them right next to the back door so they can slip them on easily for running in and out. Looking for some shoes that you can wear to run about it? Give these premium garden clogs a chance! 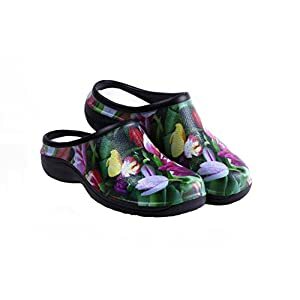 Waterproof Premium Garden Clogs With Arch Support-Tulip Design by Backdoorshoes Black 8 B(M) US Backed by a No Split 1 year guarantee, these premium garden clogs are too good to pass up! 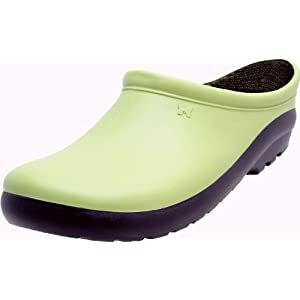 Made from expandable foam, they offer comfort that is unmatched by many other garden clogs out there. Many of the recent reviewers love the colorful options and patterns as well as the comfort that these garden clogs offer. You’ll love them too! Made with a durable rubber sole, you can be certain that these clogs will have some major grippage to prevent slippage. Amoji Garden Clogs Shoes Strong enough to use in the garden, but casual enough to wear everywhere else is just one of the many reasons why these garden clogs need to be on your radar. Men and women from all over love the look, the style and the lightweight feel and design. They come in many colors: all beautiful! My favorites are the blue and red ones. So cute! Order a pair for you, and your better half today! Birki’s Super Blue Clog If you are looking for more of a traditional clog look, these Unisex clogs may just fit the bill. 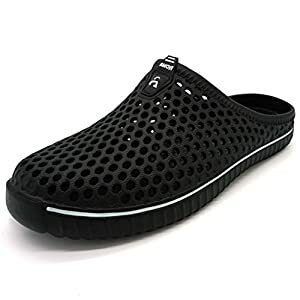 Reviews compliment the ease of putting on and the ability to wear them for long periods of time without aching feet as one of the top reasons for buying these clogs! 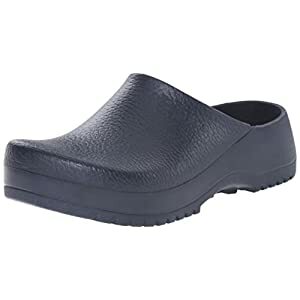 Many people with plantar fasciitis, chefs and nurses, who are on their feet all day long use and love these clogs. Don’t delay, you could own your own pair just as easy! 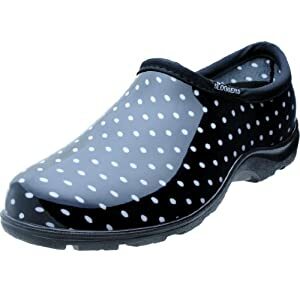 Sloggers 5113BP07 Rain and Garden Shoe with All Day Comfort Insole, Wo’s Size 7, Black/White Polka Dot Print Who wouldn’t want to pay one price for a shoe that can have so many uses? Customers love the value that they get for the money with these garden shoes and are happy to wear them on a daily basis. How well would these fit into your gardening needs? Not to mention how cool oyu’d be lookign working in the garden in these polka dot garden shoes! You may think you can just use your regular shoes to work in the garden, but I promise you, soon enough you’ll realize that ‘s not the case. Your feet will hurt, you’ll waste time cleaning your shoes for the next day and you might even get hurt. 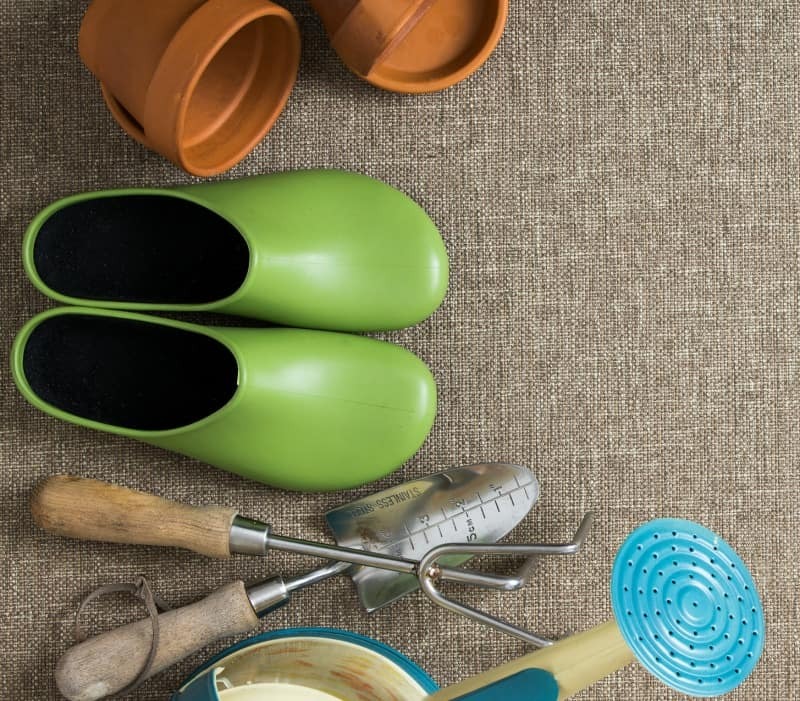 Garden clogs are perfect for the garden: light in weight, easy to clean, and some are even stylish. There is still plenty of summer and fall gardening and weather left that it’s the perfect time to upgrade and get your own! The options above are perfect for any and all outdoor needs!